My inner kindergartener loves a good nap and depends on snack time to get me through the day. While I’ve pretty much mastered the art of trail mix and love a crunchy rice cake with nut butter, I thought it might be time to try a few new things. And, I’m trying to steer away from sweet things this week just because I do that sometimes. So I’m cutting back on dried and fresh fruit and other sweet things. So today I made Blue Corn Paper Bag Popcorn; Ginger Sesame Roasted Chickpeas and Dill Carrot Chips. 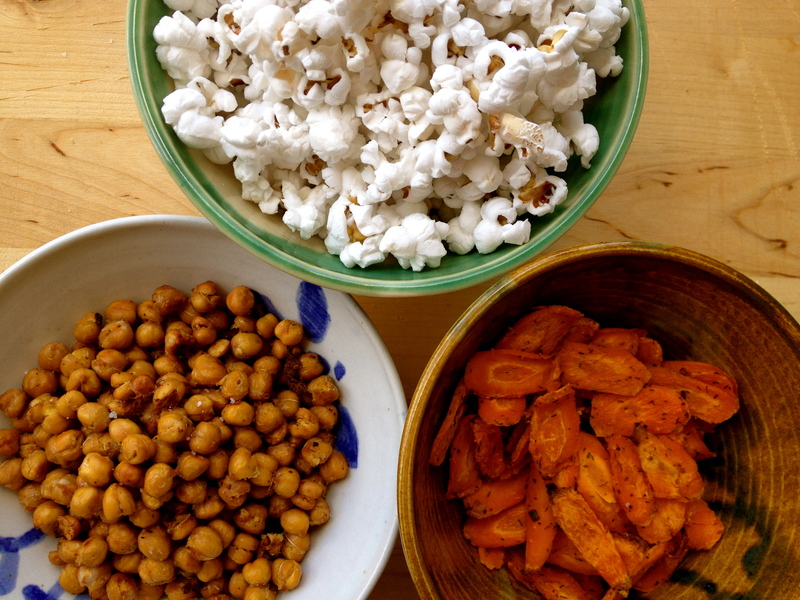 It took about an hour to make all three snacks, which I am happily munching on as I type this post.